Outer Zone Overnight offers three decal designs, that can be applied to just about anything. Decals are high quality production and U.V. resistant. “Z” Core Logo:$2 each. SOLD OUT. Next production run anticipate 2014. 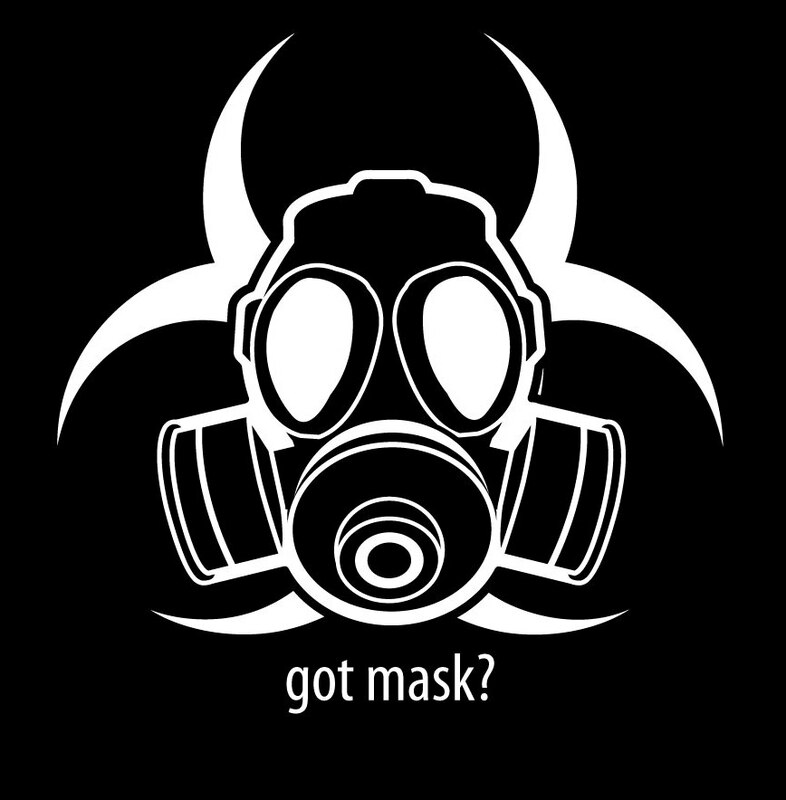 “Got Mask” Bio-hazard Logo. AVAILABLE. $2 each. 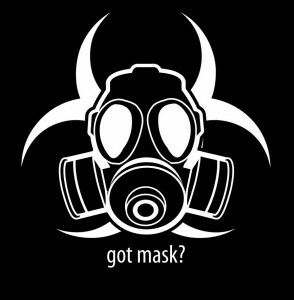 Other popular designs from out past events artwork will soon be made available on a a limited run basis, including the “10-G-12” logo, the “Nuclear Winter” logo, and the “Survival Triangle” logo. Please let us know if you have interest. Typically , we sell these items on site at an O.Z.O. event or gathering, or other organization sponsored event where we choose to vend. We also, on our larger and more elaborate events, package items with the event cost to save overhead. Otherwise, simply contact Outer Zone Overnight at our G-mail account to make arrangements. ([email protected]). If we ship to you, we will add postage. otherwise, you can pick the item up from us wherever we are at any given moment. WE DO NOT EXTEND CREDIT FOR ITEMS, NOR DO WE ACCEPT CHECKS or I.O.U. slips. The Outer Zone Overnight logo is legally trademarked (at great expense), and DIY stickers are technically an infringement on copyright… You can create a single DIY item for yourself only, or as a proof of concept piece to submit to Outer Zone Overnight(TM) or as a direct “gifting” reward to those in attendance of an O.Z.O. event who have made some achievement, however you may not use the logo to produce any item for profit or personal gain without some form of compensation for the logo use to the organization. If you have questions on this, please ask before you produce something.